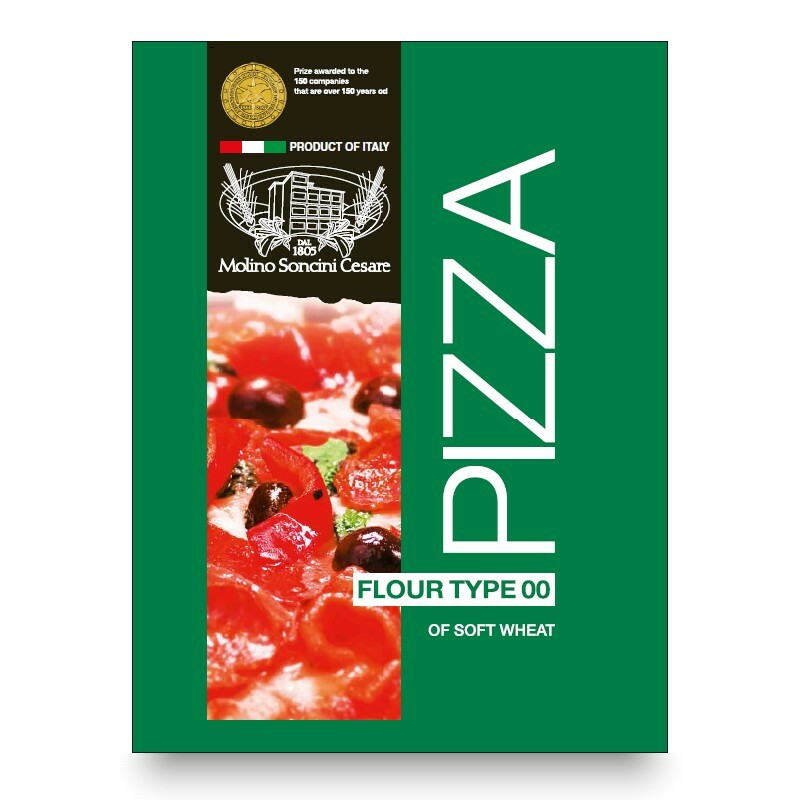 In a deep pot, melt the yeast in the tepid water, then add the Bread flour and the Pizza flour, plus the oil and the salt. Work all the ingredients together until you have a soft compact dough that does not stick to your fingers. Leave to rise for two hours - it should double in volume. 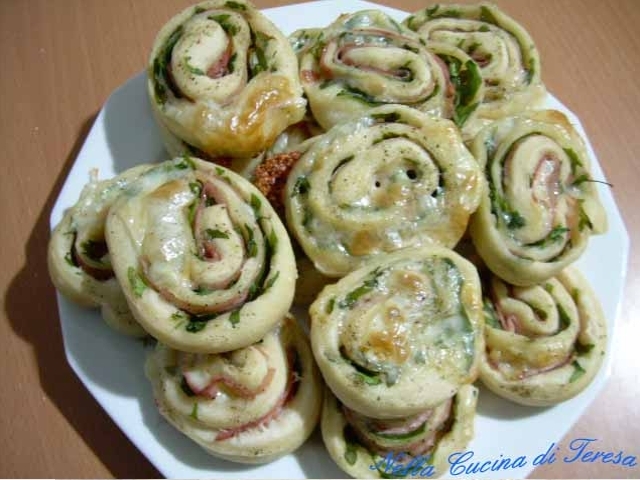 Once risen, roll the dough out into a rectangle: spread the rucola leaves out on top, followed by the ham slices and finally the sliced provolone cheese. Now roll the dough over on itself from the long side. 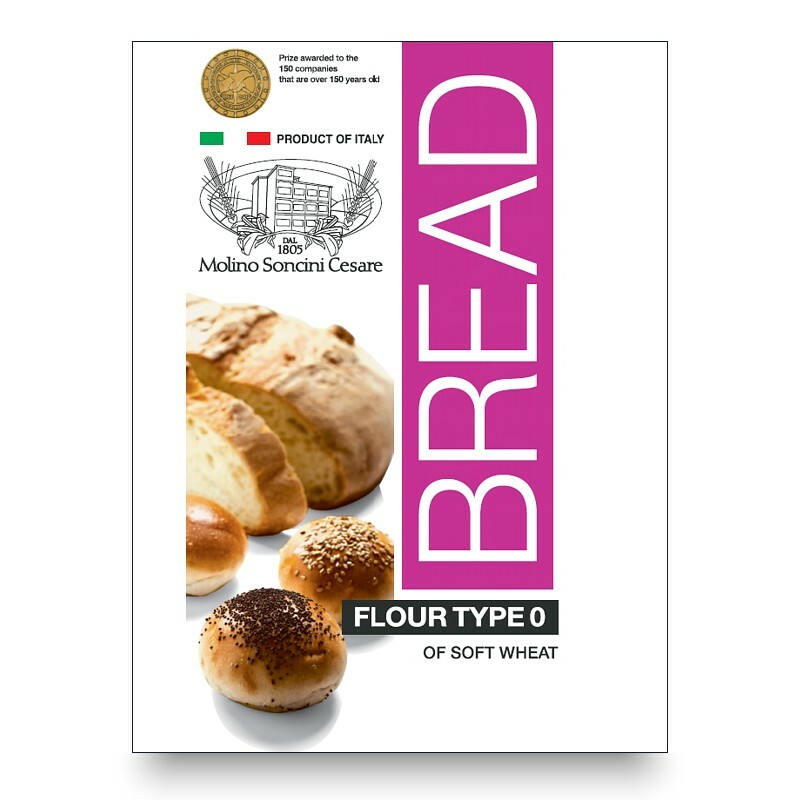 Once formed into a roll, turn over so that the fold is on the bottom, and cut into pieces 2cm thick, placing each in turn in a baking tray lined with oven-proof paper. Brush with the oil, and season with pepper if desired. Leave to rise for 30 minutes, then back in a pre-heated static oven at 180°C for 15 minutes, and 5 minutes in a ventilated oven. Leave to cool and then serve! 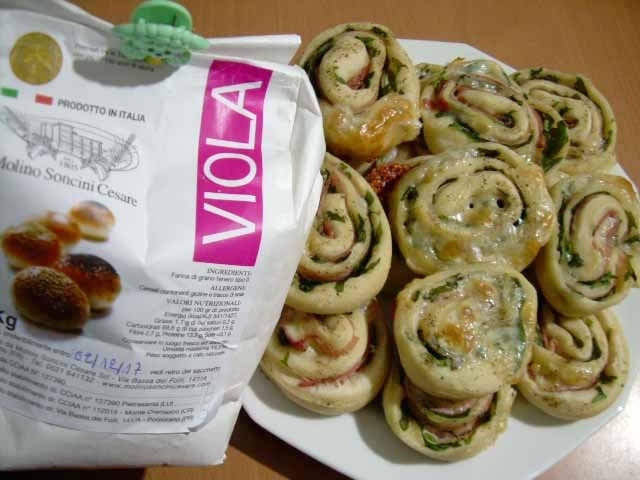 La farina Viola l'ho trovata eccezionale per la preparazione delle Girelle, è l'ideale per la produzione del pane e non solo...... basta assaggiare queste girelle per essere daccordo con me.